FamilySearch Wiki - Quakers in U.S.
"The Life and Religious Experience of T. Townsend" by Thomas Townsend. An Insight into the Hicksite Movement. 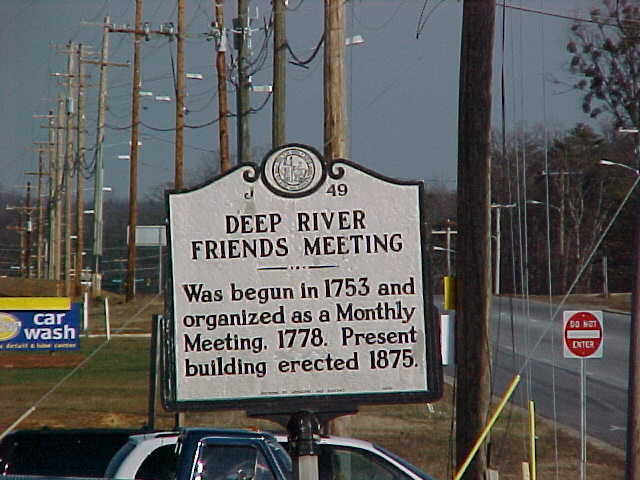 - Question: "Does anyone know if there was a place that the Deep River MM was held from about 1770 or so and where that place is? Can it be located on a present day Map?" 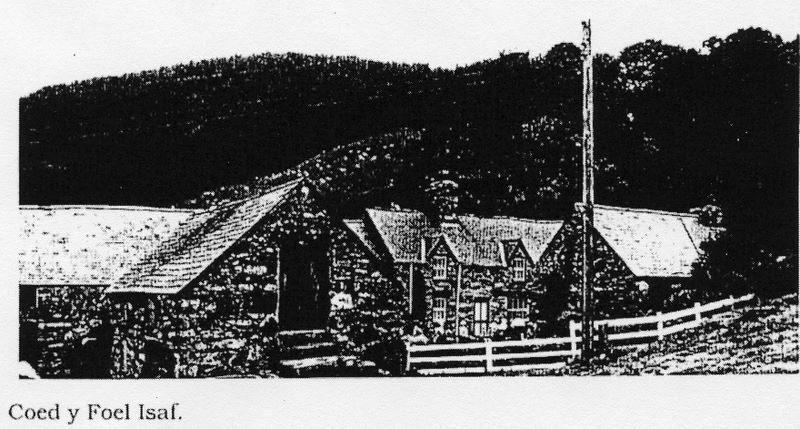 - Date Granted: Feb 1860, First Meeting: 31 March 1860 - Closed and name changed to Eagle Creek: 29 June 1892 - moved to village of Eagletown. Mountain, Pine Hill, Union Hill, Westfield, White Plains. Marriages 1818-1899 - Ancestry.com: Link, "Record of Marriage Certificates for West Grove Monthly Meeting"
proceed against them with a charge of high treason at the next assizes. and one - Edward Rice - died. Item 2: C: Minutes, 1911 - 1925. 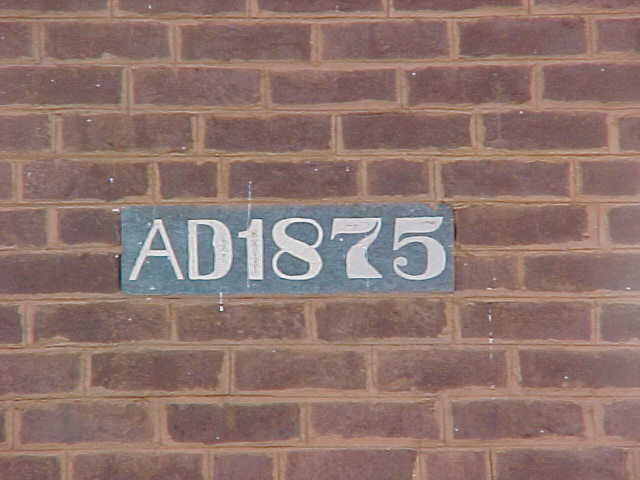 - Before 1752: 1st month was March and 12th Month was Feb.
"Founders Creed - Site of Sharp's Meeting House - In 1832 a school was organized and regular church services began in a log cabin owned by Isaac Sharp - It was known as... Sharp's Meeting House - Plaque by ????..." - LDS: 364704-05, 1630243-44, -49. - Women´s Minutes, 1828-1855 ?? Before and After: SETTLED 1800, LAND FOR MH 1803, TODD'S FORK INDULGED BY MIAMI MM 1805/04/11, PM FROM MIAMI MM. 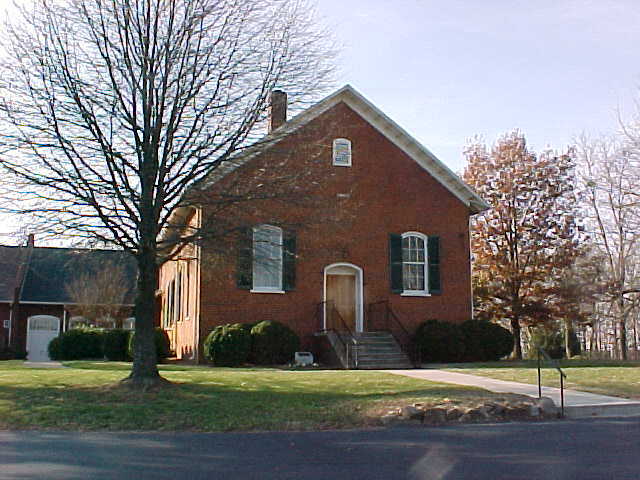 Center (Hicksite) - Clinton County, Ohio - WILMINGTON 45177, UNION TWP. Before and After: TODD'S FORK INDULGED 1805/04/11 UNDER MIAMI MM, CENTER PM 1807/02/06-1865/05/13 FROM MIAMI MM. WILMINGTON PM 1827/06/11-1841/08/14 (WORSHIP REOPENED 1874/02/14-1883/05/23). ATTACHED TO MIAMI MM, GROVE PM. S20 Stratton, Harriet Russell, Complier. A Book of Strattons, Vol. 1. New York: The Grafton Press, Genealogical Publishers, 1908. Repository: https://archive.org/details/bookofstrattonsb03stra Bk3980. Page 120, right column, bottom. 800. ANDREW MOORE, son of James and Lydia (Sharples) More, was born at Half Moon, Centre Co., Pa. on 2 mo. 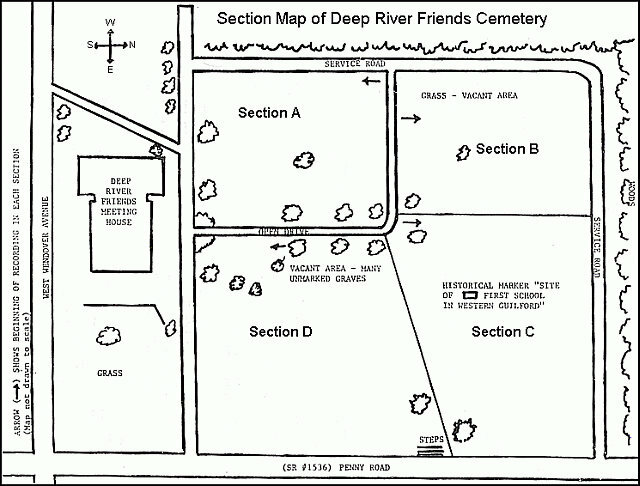 26, 1796 amid died in Penn Twp., Clearfield Co., Pa. on 2 mo. 26, 1881. At Centre Friends Mtg. on 9 mo. 17, 1822 he married Elizabeth Davis, daughter of Elisha and Alice Davis. She was born 10 mo. 6, 1798 and died in Penn on 10 mo. 8, 1861. Both she and her husband are buried at West Branch Friends Mtg. He married second at Centre Friends Mtg. on 4 mo. 11, 1869 Margaret (Henry) Iddings, widow of Joseph Iddings and daughter of James and Lydia (Brooks) Henry. Andrew Moore was a farmer ans alos active in the lumber business. Like his brother Jeremiah he took a prominent par in the meeting. 1952. Alice Davis (1823-1857) at West Branch on 2 mo. 5, 1846 married Samuel Kirk (1822-1883), son of Jason and Mary (Spencer) Kirk. of Amos and Mary (Shurk) Underwood. James married second on 2 mo. 1, 1860 Phebe Woolman (1826- ), daughter of Uriah and Mary (Brown) Woolman.